The Khashoggi affair threatens to damage relations between Western governments and Saudi Arabia, possibly prompting them to impose sanctions on Riyadh or on Saudi individuals. The International Monetary Fund is not changing its forecasts for a recovery in Saudi Arabia's economy in response to the furore over the death of dissident Jamal Khashoggi, a senior IMF official said. Asked whether the IMF felt a need to re-examine its expectations for the economy because of the Khashoggi affair, Jihad Azour, director of the Middle East and Central Asia department at the Fund, said it did not. "What would have an impact is how oil prices will have moved going forward, and a certain number of other indicators like the pace of fiscal adjustment and the reforms that Saudi authorities will implement going forward," he told news agency Reuters this week. "The prospect for the Saudi economy for the next year is showing continuous growth, led by the increasing oil price as well as the increase in oil output, in addition to improvement in the non-oil sector." 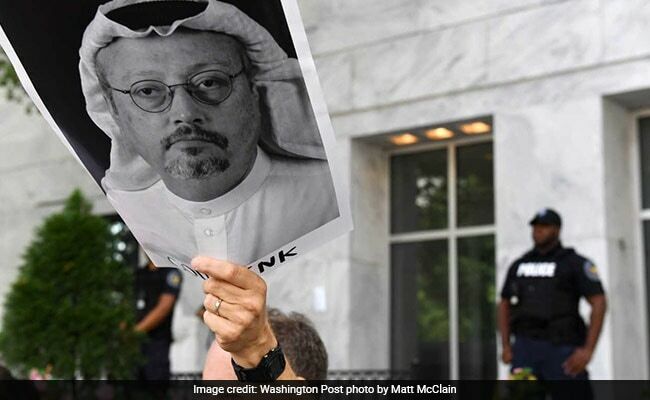 Before Khashoggi's murder on October 2 in the Saudi consulate in Istanbul, the IMF predicted Saudi gross domestic product would expand 2.2 per cent this year and 2.4 per cent in 2019, after shrinking 0.9 per cent last year. Last month, IMF managing director Christine Lagarde was one of more than two dozen top officials and Western executives who cancelled their attendance at a big international investment conference in Riyadh because of the killing. It is not clear, however, that the affair will actually reduce foreign investment in Saudi Arabia over the long term; many Western companies sent lower-level executives to the conference and business talks proceeded on the sidelines. "It's very difficult to tell how this could impact overall investment in the long run. We saw some sell-off on the equity market but it was for a short period," Azour said. Foreign investors have sold a net $1.9 billion of Saudi equities in the five weeks since Khashoggi's death, stock exchange data shows. But the selling has tapered off in recent weeks, totalling just $13.1 million last week.